“Our mission is to create high performance, environmentally friendly and cost effective battery technology." EVT Power, Inc., established in 2008, has developed a more efficient battery platform technology, with a smaller footprint for lithium ion, lead acid, zinc alkaline batteries, and a clear advantage in the search for better energy storage. We are bringing to market our first battery advanced component technology, the "SNAPPER". This patented technology is for lead acid batteries, and it is a critical proprietary component for all the batteries like the wheels of a car. SNAPPER plates installed in the battery reduce weight, recharging time, and increase cold cranking power. Our business model is to work with major industrial partners to manufacture and sell SNAPPER plates directly to OEM battery companies. Started with 146 companies, EVT Power is one of the top 10 finalist companies of 2012 BCIC New Ventures Competition. 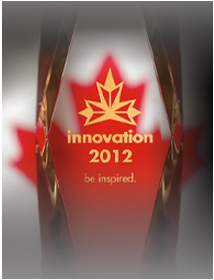 EVT Power is the Winner of the 2012 Regional Awards for New Technology of Canadian Manufacturers & Exporters (CME).